Different interchangeable sanding pads for an extremely wide range of applications. Ergonomic shape ensures non-tiring work, even on vertical surfaces and work overhead. 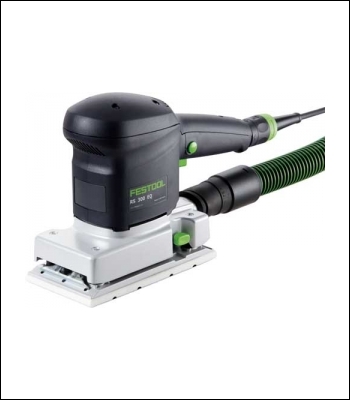 Electronics integrated in the housing, a sturdy bearing, secure oscillators and a high tear-resistant MPE sanding pad ensure a long service life and high economic efficiency. Light sanding of varnish, paint, wood and plastic. Sanding surfaces and corners in one working procedure. Sanding louvres with a special pad.